Home / News / Are you ready for the busy Christmas period? For any organisation, reliable delivery of parcels is essential. 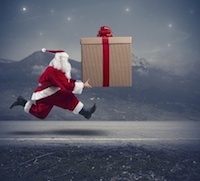 The Christmas period is a particularly busy time of year for ecommerce organisations, and the last thing you need is to fall short of guarantees you’ve made, for your Christmas deliveries. Delivery delays can infuriate customers who have been promised that their packages would arrive by Christmas. Breakdowns in distribution systems can result in significant profit losses, a fall in customer loyalty and a tarnished reputation. Put simply, the success or failure of this busy period can make or break your hard work for the whole year. This begs the question: Are your business distribution systems prepared for the Christmas period this year? Are they set up to cope with the increased demands, or will they crumble under the pressure? Inevitably, handling your own e-commerce order fulfilment is costly, requiring the commitment of space, personnel, management time and money. For complete confidence, you might consider outsourcing this responsibility to an experienced order fulfilment and distribution partner. AFM understands the importance of speed and accuracy, and our systems are built and honed to consistently meet this challenge. Our distribution services provide the kind of performance that will allow you to relax in the knowledge that your parcels will be delivered safely and on time, resulting in happy customers for your business. Whether your company is large or small, we’re able to work in partnership with you to develop a tailor-made service that works for you. All our courier services have full track and trace support, and on despatch, AFM will send an email or SMS the recipient confirming the shipment despatch and providing carrier and tracking information. Please contact us for further information on how our distribution services can help you and your customers. This entry was posted onSunday, November 2nd, 2014 at 12:07 pm and is filed under News. You can follow any responses to this entry through the RSS 2.0 feed. You can leave a response, or trackback from your own site. Both comments and pings are currently closed.